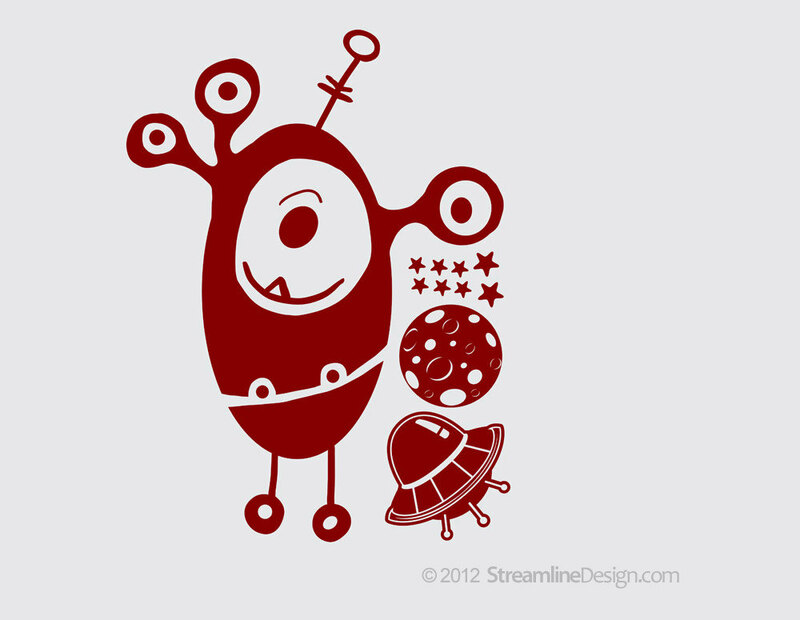 This charming alien is all eyes. He's come to see what Earth is all about. In fact, he'd love to check out your room. Eyegor comes with his own spaceship, a planet and 8 stars. 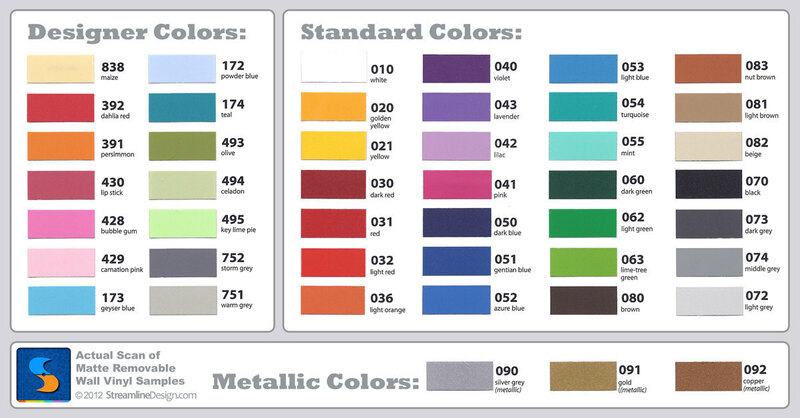 All items in this set are the same color and will arrive as shown in photo two. Simply cut the extra piece off and apply separately. Eyegor measures 22 inches wide by 30 inches tall. Planet is 6 x 6 inches Space ship is 7.5 x 7.5 inches Choose from any of the 45 colors shown in the photos. For this item please list in the comment area of the shopping cart (below your item(s): --------------------------------------------------------------------------------------------------------------- • Color Note: Our high quality matte removable wall vinyl is intended to be installed on a smooth flat surface. Slight curves and textures are okay too. The vinyl is removable but not intended to be reusable. It won't harm the surface or leave a glue residue and won't peel paint on properly prepped, primed and painted surfaces.